I colored Oliver with my Copics. 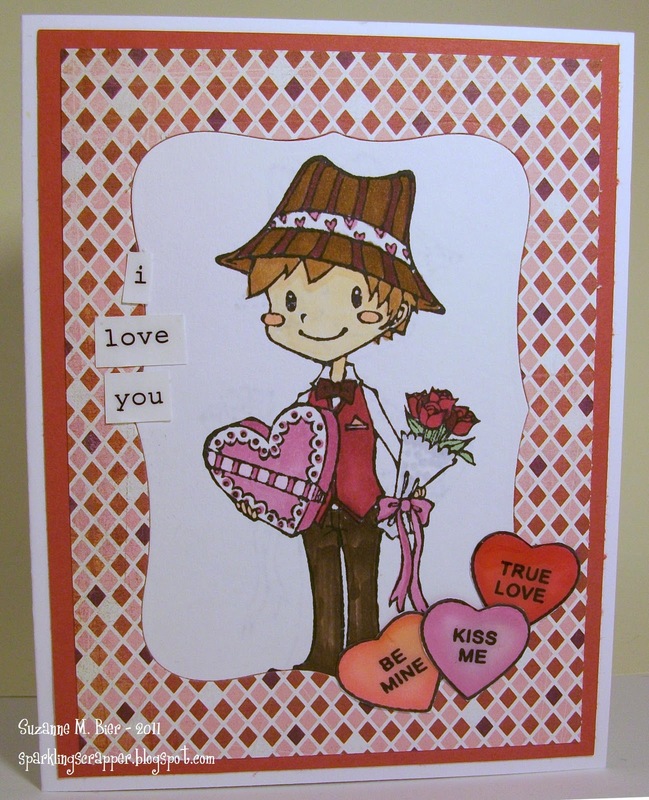 The three conversation hearts are stamps I found at Impress Rubber Stamps when I went there a few weeks ago for their stamping night. I also colored them with Copics and added Glossy Accents (although you can’t see it in the picture). I also cut apart an SRM Stickers sentiment and added it to the left side. Thanks for stopping by! 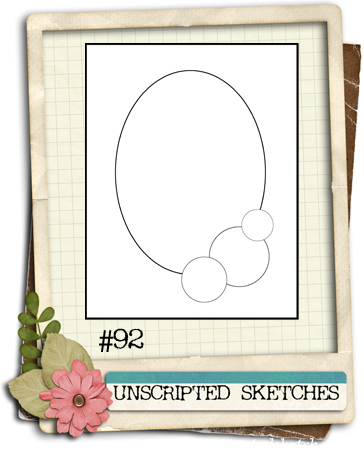 I can’t wait to see what you’ll create with this week’s Unscripted Sketch! Don’t forget to visit the rest of the Unscripted Sketches Design Team: Alanna, Angy, Arielle, Becky, CherylAnn, Debbie, Gardenia, Jenny, Lelia, Linda, Sarah Kaye and Stephanie! so cute! love that little guy with flowers and candy.